Fresh cheese, not that packet stuff, easily and quickly whenever you want it! Simply put the cheese in the top, replace the lid, and grind away. 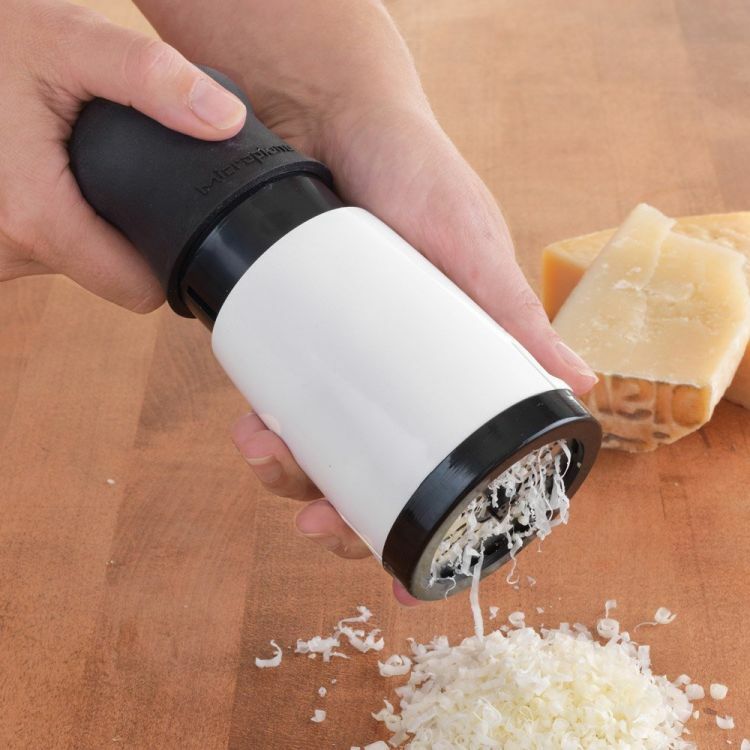 Its simple, produces different thicknesses of grated cheese depending on the cutter you choose, and looks great on the dinner table. Super easy to clean as well. And lastly, want grated or shaved chocolate for that next dessert...? No problem, just pop some chocolate in the top instead of cheese! DON'T MISS OUT! HIT ADD TO CART NOW!